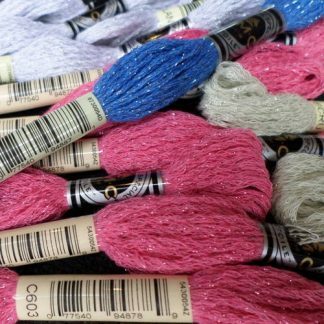 Mouliné Étoile – DMC’s premium embroidery thread. Featuring a brilliant twinkle effect, this cotton floss will add a delicate shimmer and elegant sparkle to your project. 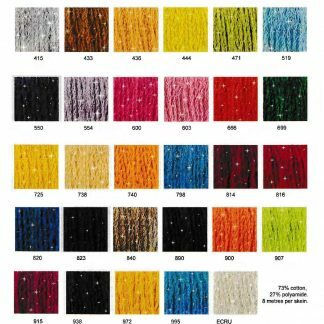 The new 6-strand divisible thread is available in 35 amazing shades. Each skein measures 8 meters in length.